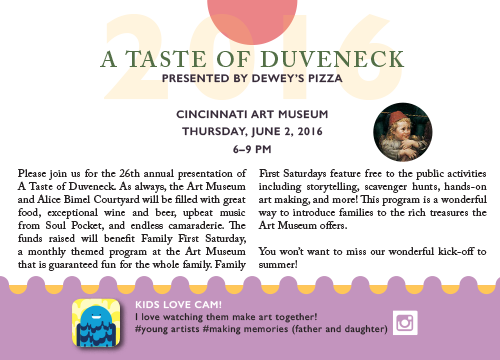 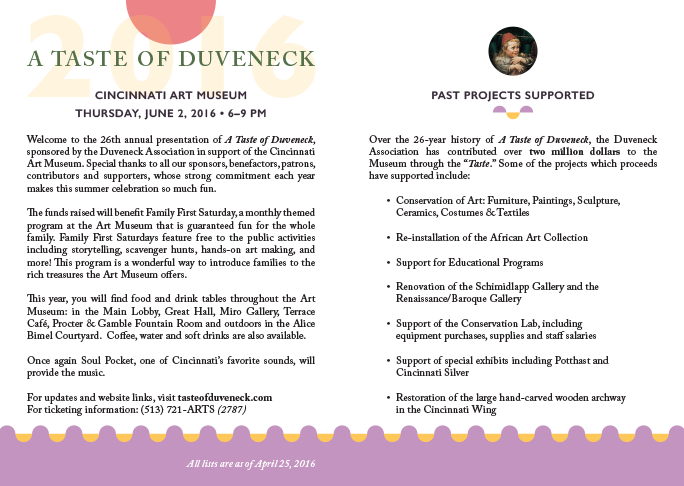 Cincinnati Art Museum’s A Taste of Duveneck | Klocke Design Inc.
A Taste of Duveneck is the Cincinnati Art Museum’s highly anticipated annual food and wine event featuring an extensive assortment of wine and beer, delectable food, live music, and more. 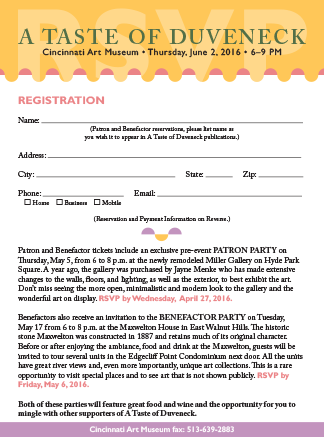 This year, the funds raised will benefit Family First Saturday, a monthly themed program at the Museum that is guaranteed fun for the whole family. 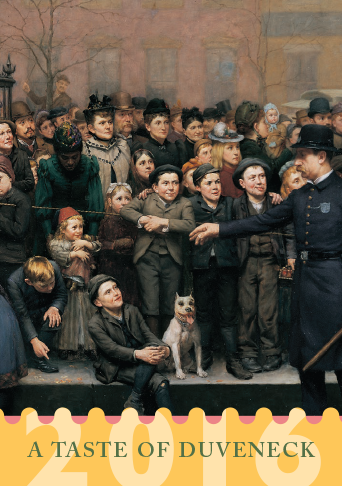 For one of the design elements, we chose a painting from the Museum’s collection that featured children and families: Joseph Henry Sharp’s, Fountain Square Pantomime. 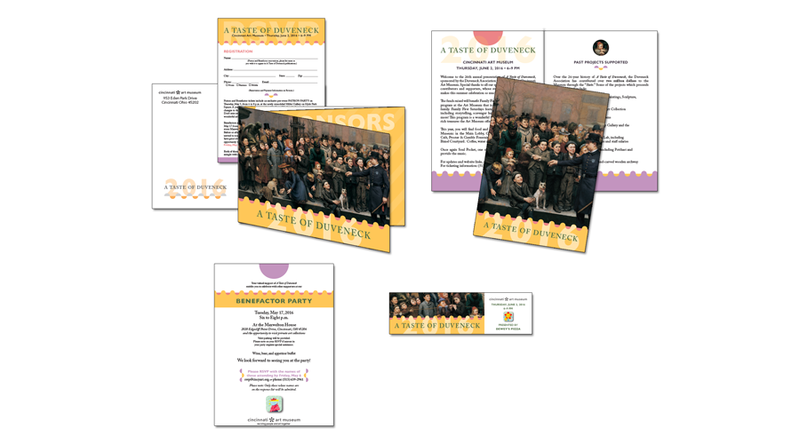 For inspiration to round out the design, I looked to a series of banners used in the Rosenthal Education Center, where the Family First Saturday programs take place. 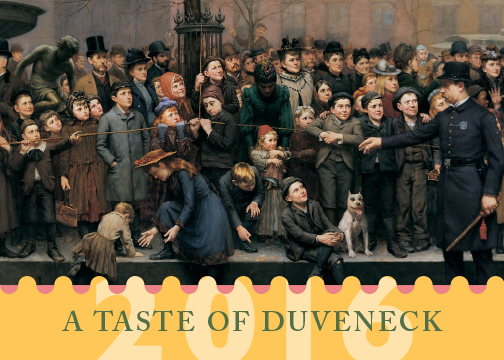 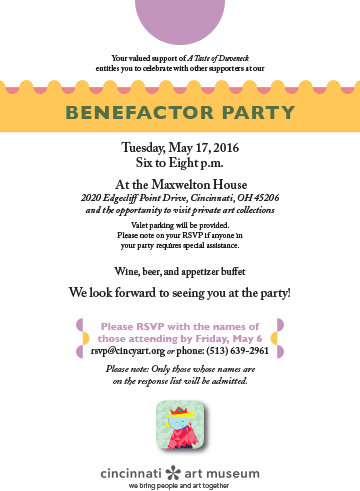 From these banners, I was able to pull elements and colors that gave the invitation and related materials a sense of fun and whimsy — just how we want people to feel about A Taste of Duveneck.